Thirty-three year old Chea Bopha (name changed) is glad that she took an HIV test early in her pregnancy. Two months pregnant and feeling unwell she decided to go the antenatal clinic at Samdech Ov Hospital. “I was very sick,” said Bopha, “[with] weakness, tiredness, fever and diarrhoea.” Accompanied by her husband, Bopha received counselling before receiving the test – a finger prick for a drop of blood. The result came back in a short time: positive. Bopha was immediately referred for treatment. 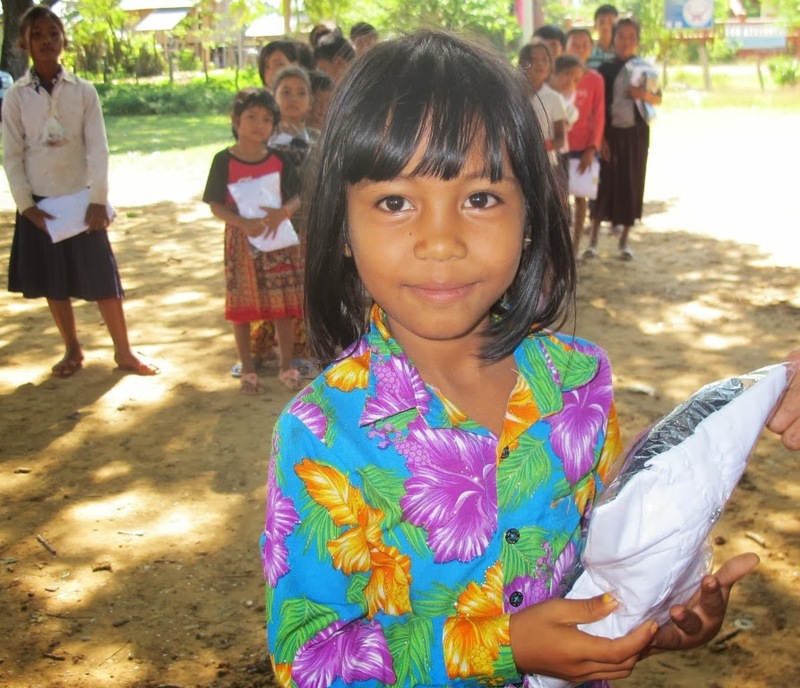 Although the test result was distressing, Bopha welcomed knowing her status. The counselling helped her to understand why she had been ill and provided her with information about the treatment she will receive to protect her baby. “I want my baby to be healthy,” said Bopha as she looked affectionately at her raised abdomen. Eight-year-old Kimsean (whose nick name is Pong) lives with her grandparents, Mr. Soung Sai, 58, and Ms. Voeun Soeun, 62, and her four-year-old younger brother, Mithona. The family live in a small wooden house with a zinc roof in Run village, Kear commune, Moung Ruessei district, located about 60 kilometers from the Battambang provincial town. Kimsean is in grade 2 at Damnak Run Primary School which is located about 2.5 kilometers from her home. Usually, Kimsean walks to school with her friends, who she plays with both at school and at home. When Kimsean was three months old she was diagnosed with having valvular heart disease. Improving hygiene and protecting water sources from contamination, remain key challenges for Cambodia.